Home» Road Tests » Chrysler Jeep Compass Contract Hire & Leasing Review. Chrysler Jeep Compass – Italian Stallion or American Pie? Way before anyone had ever heard of the name Land Rover, the foundations of a new company and a completely new type of vehicle were being laid in the U.S. which would eventually become known to everyone as Jeep. The use of 4WD in commercial or utility vehicles dates back to the early 1900’s but in all honesty, the world only really got to know about it during WWII. Back in the early 40’s the U.S. government invited around 135 vehicle manufacturers to submit proposals for a quarter ton reconnaissance vehicle based on the rough specifications provided by the Army which could then be used in the conflict. The manufacturers were required to get the proto-type up and running in just 49 days. They achieved it and the rest is history, but it heralded a change in motoring and saw the birth of the 4×4 as the plucky little Jeep gained its spurs and worldwide fame on the battlefields of World War II. The 4×4 market is a crowded place, make no mistake. Land Rover, Toyota, Nissan, Isuzu, Mitsubishi, Mercedes, Ford, BMW and so many others, offer 4×4 vehicles so there is an awful lot to choose from. In time past, you only bought a 4×4 if you had an obvious need for one, perhaps you were a farmer, or lived in the country, or maybe did a lot of towing? However, that’s changed, most 4×4’s live in towns and cities now and the market has become very snobby and status driven. Most buyers would probably deny that, but it’s an aspirational badge driven market and that’s why the regal Land Rover is most people’s first choice if they can afford it. OK, you can argue that it’s the cars ability and all that, but we supply lots of 4×4’s and only a few ever go off road, but I suppose its like a divers watch, many people wear them, but the closest they get to water is in the shower or in the pool during the annual 2 weeks in Alicante. Ask yourself question, if you drive a 4×4 now, did you test drive a Jeep? Did you even go to the dealer to look at one? Well chances are I know the answer to that, and it’s because despite the iconic name, there is a perception that Jeep is a mass produced American lump, not designed for use on European roads and as such, on this side of the pond it simply lacks the cache and prestige to attract buyers. So we figured we would spend a few days with the very latest Jeep model, the Compass to see if it slays any of our pre-conceived ideas and if in fact 4×4 drivers in the UK were missing a trick by not buying a Jeep. Being honest, we didn’t start this review with too much optimism because in the past, the Jeep’s we have tested all seemed like they were built with the US market in mind giving little regard for what goes on over here and just what a UK customer might want. We thought the interiors on older Jeeps were bland and uninteresting, with lots of cheep plastic trim and even the higher spec models reminded us of some generic 70’s American saloon that would be more at home on a trailer park than in the deep south rather than on a posh housing estate in Surrey. There was however one glimmer of hope that we just might have a change of opinion and that was because Italian car giant FIAT now owns a big stake in Jeeps parent company Chrysler, and might use their influence to come up with a car that’s suitable everywhere, and do you know what? I think they just might have cracked it. Just to give you a little background, Chrysler got in trouble back in the recession of 2009 and FIAT came in and purchased a 35% stake in the company which pretty much saved it from going bankrupt. Since the initial investment, FIAT has upped its share to 53.5% of the company, intending that to go up to 58.5% later in 2011, with a 70% holding being the longer term objective. So why is FIAT interested in Chrysler? Well, the U.S. market is massive, and it’s a market that FIAT fancy a slice of, particularly as the last time customers were able to buy a new FIAT in the US was way back in 1984. Already since the investment, the FIAT 500 is available in the U.S. and the Fiat Panda 4×4 is going to be re-named as the Jeep Phoenix, given the Jeep treatment (made to look like a mini-jeep) and will go on sale shortly with pundits saying that with its 4wd and its potential 59mpg, its going to take the States by storm. Clearly, more FIAT derived product is going to find its way across the pond in the months and years ahead and that’s why FIAT was interested in Chrysler. The Jeep Compass was definitely designed to appeal to a much wider audience and by offering the Compass in both 2wd or 4wd versions, as it gives the opportunity for drivers who like the 4×4 image but couldn’t previously afford to trade up from a regular hatchback to a 4×4 to go for the cheaper 2wd Jeep and if you’re not intending to go off road, why wouldn’t you. There are three engine options, a 2.2CRD Diesel which is produced for Jeep by Mercedes Benz, and for the 4wd versions produces 161bhp and in 2wd models 134bhp, but both offer an incredible 320Nm of torque which is available from just 1400 rpm. The Petrol versions are a 2.0 158bhp running through a 5 speed transmission and a 2.4 litre 4×4 168bhp which is fitted with a continuously variable automatic transmission. In terms of Co2, the 2.0 petrol produces 175g/km, the 2.2d 2wd produces 161g/km, whilst its more powerful 4wd version emits 172g/km and heaviest in the range is the 2.4CVT that just fits under the 200 at 199g/km. Pricing starts at £16,995 for the 2.0 petrol in Sport specification, rising up to £23,595 for the 2.2CRD in Limited specification, whilst there may also be some special edition or celebration lower volume models that might go a touch over that. Our test car was fitted with the 2.2CRD and came with what’s called ‘Freedom Drive’ which is a full-time active four wheel drive system that’s designed not only to handle all the heavy stuff you might call on a 4×4 to do, but also being used every day on the road, just like a normal car. Jeep add to that a 4×4 lock which locks the cars centre coupling allowing the car to handle deep snow, sand and any other low-traction surfaces and whilst we didn’t have snow to test it on, we did take the car off road and it was extremely impressive. On the road which to be honest is where the Compass is going to spend most of its time, it was massively better than we had expected and very car like in the way it drives. It didn’t feel unwieldy or cumbersome. Build quality is infinitely better than previous Jeeps we remember and it had a real premium feel about it, largely down to the much improved interior. Now I don’t know if this is a good thing or not, but you can’t miss the family resemblance between the Compass and its bigger brother the Grand Cherokee, but we kind of liked that, with our only reservation being if it will put off buyers who might not give this new Jeep a chance, believing its still a yank-tank, rather than a modern credible car in its own right, which is what it is. We only tested the 2.2CRD in 4×4 form, but were very impressed at its fuel consumption over a mix of start stop city traffic and country roads, easily achieving Jeeps published 42.8mpg combined average and for a car of its size and its capabilities, that’s pretty good. Jeep say that the 2wd 2.2 will return 46.3mpg average, the 2.0 petrol 37.2 and the 2.4 CVT as you might expect, is at the bottom of the pile with 32.8 combined average. Jeep is the longest established name in the off-road business and because of that, at the very least, they should attract the highest level of respect from the off road community, but at the end of the day, it’s going to be about personal choice, and there is lots of competition, but when you look at the price of the Jeep Compass, it stands up well against things like VW Tiguan, Ford’s Kuga. The Jeep Compass is well equipped, so on paper at least, buying one makes huge sense, however the Jeep lacks some of the finesse of the crossover type 4×4’s such as the VW & Ford and is much more a proper off-roader than they are and if that’s what you want, we are sure you are going to love the Compass. We mentioned price earlier and whilst price isn’t everything, to get a 4×4 Tiguan, or a 4×4 Kuga approaching the Jeeps specification is going to cost you £2,000 to £3,000 more and that gap can jump up to £8,000 or £9,000 more spec for spec if you fancy a Freelander. There is no doubt that the new Jeep Compass looks an awful lot of car for the money and strangely, you do feel kind of cool driving it, maybe because you don’t see one on every street corner, or maybe perhaps because the rest of the world thinks you are driving an expensive gas guzzling stateside barge, when only you know its cheap to buy and economical on fuel and just like most of its competition, gets a 3 year 60,000 mile warranty. There will be ‘Jeep’ purists who will say that FIAT are wrong making the Jeep more FIAT like and they are welcome to that opinion, however, this is the first time we have tested a Jeep product we were excited about and would be happy to own one ourselves. For sure, Jeeps are perfect to the U.S. market, but generally they were not to European tastes but with the new Jeep Compass, that’s different. The Compass is so obviously the baby of the range, and that’s one of the things that will make it so attractive over here. So our advice to FIAT, would be that don’t make it more like the U.S. Jeep, but take the good bits from the Jeep range, and work on building the name and the Jeep Compass could just be Jeeps best selling car in Europe ever, after all Springsteen, Madonna, Pacino and Lady Ga Ga are all Italian Americans who haven’t done too bad for themselves over here! 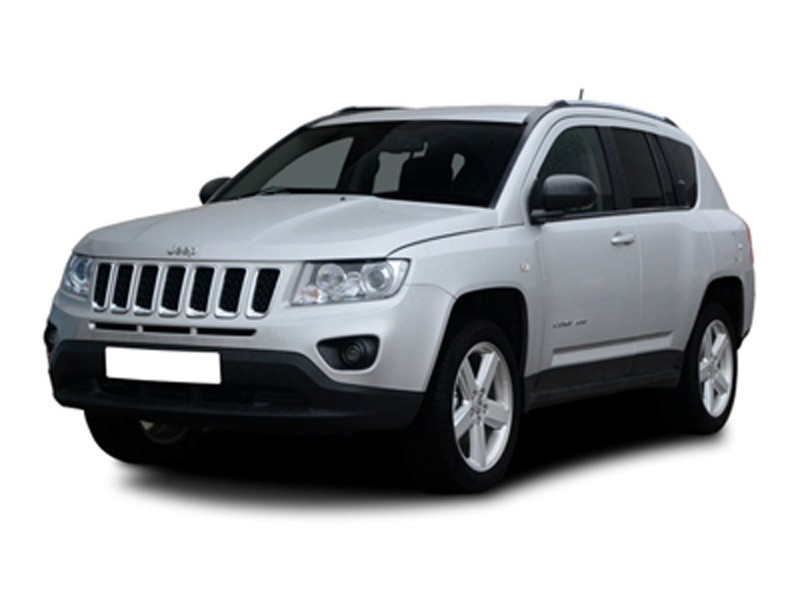 For a quotation on the Jeep Compass or any other Jeep, please contact us.